The 1890 train depot, home to Whitewater’s Historical Society Museum. 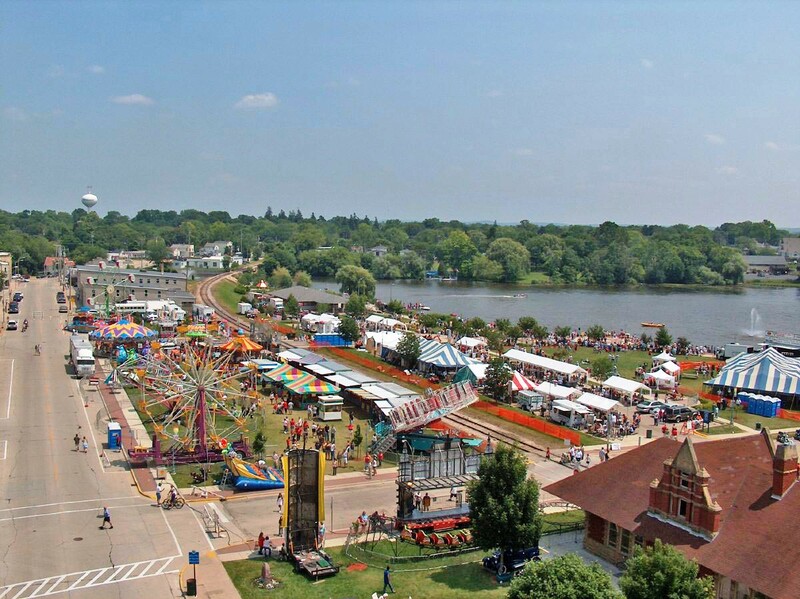 Whitewater, Wisconsin, (population 14,311) is located on Whitewater Creek in the southern part of the state. The rich agricultural area was first settled in 1837, when Samuel Prince built a log cabin on his claim of 60 acres. A gristmill, sawmill, paper mill, and many stores soon followed. In 1852, the first railway to cross Wisconsin laid its tracks through Whitewater, spurring industrial growth. The Winchester and DeWolf Plow Factory (1850), Esterly Reaper Works (1857), and Winchester and Partridge Wagon Works (1860) were some of Walworth County’s first and largest industries. In 1892, however, the Esterly Reaper Works moved to Minnesota, and the Wagon Works shut down, marking the end of Whitewater’s first industrial era. With the loss of two major industries, Whitewater lost a quarter of its population and did not regain its 1890 population level until 1950. During World Wars I and II and the Great Depression, Whitewater relied on small trade and light industries to sustain its economy. Agricultural products, including eggs, farm produce, cheese, other dairy products, livestock, and small game made up 66 percent of Whitewater’s trade at the time. Today, Whitewater’s economic stability rests on its excellent institution of higher education, the University of Wisconsin-Whitewater. Visitors and residents alike enjoy the town’s historical walking guide of homes, buildings, schools, parks, and cemeteries. 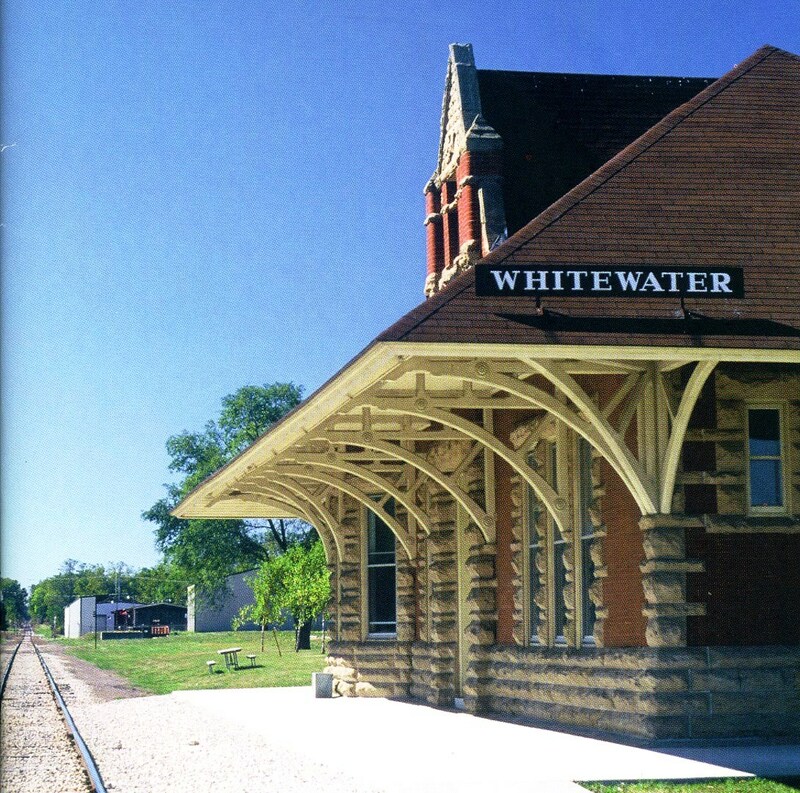 The landmarks represent a broad range of the city’s history and architecture, including the 1890 train depot, home to Whitewater’s Historical Society Museum. Indian Mounds Park, also known as the Maples Mound Group, is listed on the National Register of Historic Places. The park is a prehistoric, Native American ceremonial and burial site that dates back to approximately 1000 AD and has one of the most diverse and unusual collections of animal and geometric mounds in the nation. Designated a Preserve America Community in March 2007.